We're Hiring a Librarian/Host for our Manga Lounge! 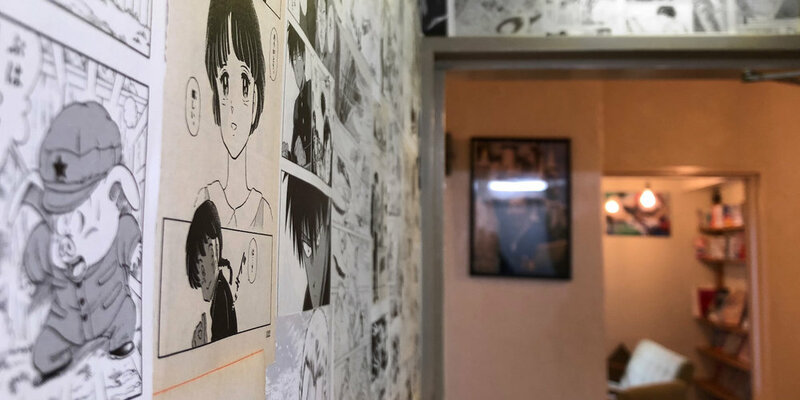 We're the Everyst team, a group of manga and story fans that replaced our "meeting room" with an English manga and indie comics lounge for ourselves. It's quickly grown and now we want to share with the world! Unfortunately we're only in our office on weekdays, so are looking for a few "librarians" or "hosts" or just pure manga lovers that can open our space on the weekends. If getting paid to hang out and read manga sounds good to you, then you sound good to us! This isn't an open cafe or book store where there's people walking in and out all day, it's by reservation only, so it's not like managing a store or a cafe and is a very relaxed "job" (if you want to call it that). What's the first manga that you ever read? What do you look forward to new releases of the most? What could you read, re-read, and then wish that you could forget it all to read it one more time for the first time? Your rough availability, we can get into the exact details of it later! Feel free to throw in anything extra that you'd like to share about yourself here! Thanks! We'll look forward to being in touch and talking learning about your favorites and firsts soon! Do you think your friends or someone that you know would make the perfect host? Please share this page with them!